It was a hot, yet oh so glorious evening when I set out to document another food filled adventure for NomNomJax, Jacksonville's diehard foodie club. This time, the venue was the unique 619 Ocean View, one of the only places you can enjoy oceanfront dining in Ponte Vedra Beach. Again, the Sawgrass Marriott does not disappoint, and delivered course after course of thoughtful, delicious goodies and signature cocktails. Good friends, magnificent views, and stellar service - I'm looking forward to my next visit already! A peek inside the light, bright, and beachy dining room of Ocean 619. If it's too hot to sit outside, you can still enjoy the view from in here. A look at the custom menu crafted by Chef Joe Natoli: the foodies enjoyed 5 full courses, plus amuse, and canapés. But first cocktails! This beauty featured St. Augustine Distillery vodka, blueberry juice, blueberries, and thyme. Green everywhere: the green sauce was my favorite! A mojito is EXACTLY what you need to brave this Florida August heat. A cool ceviche doesn't hurt either. A lovely paella featuring huge scallops, sausage, mussels, shrimp and clams and my favorite dish of the evening: arepas! The food isn't the only beautiful thing at 619 Ocean View - check out that view! We were blessed with an almost full moon, as well. Chef switched gears a little on the 3rd course with smoked St. Louis style ribs with vinegar, savoy cabbage, hominy, corn, and pepper. 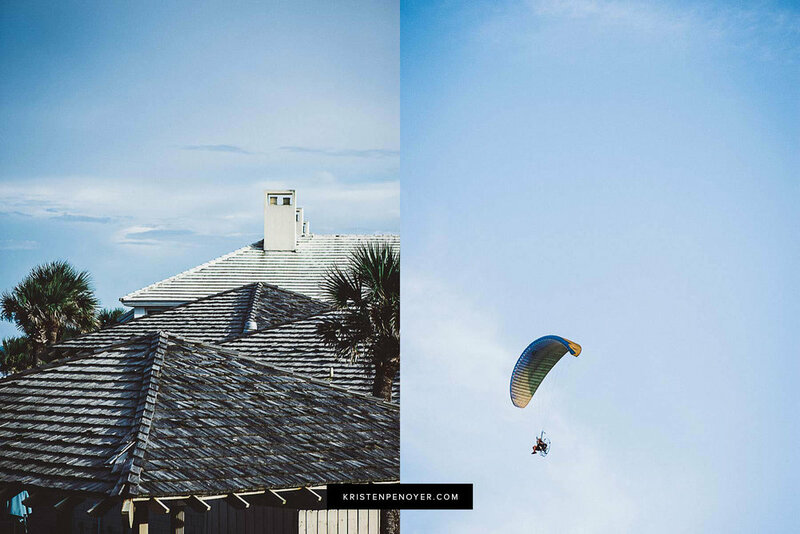 We also got to enjoy beachy Old Florida architecture and parasailing. Thank you to Chef Joe, Chef Melanie, the Sawgrass Marriott, and all the wonderful staff that made this event possible. I'm sure we'll be seeing you all again very soon!